Do you only have one day in Chattanooga? Check out the delicious food I tried and interesting things I found to do! Back in May, my friend and sister in law and I took a trip to Georgia, Tennessee, and Alabama! We stayed in a different city every night and made the most of our one day in each city. 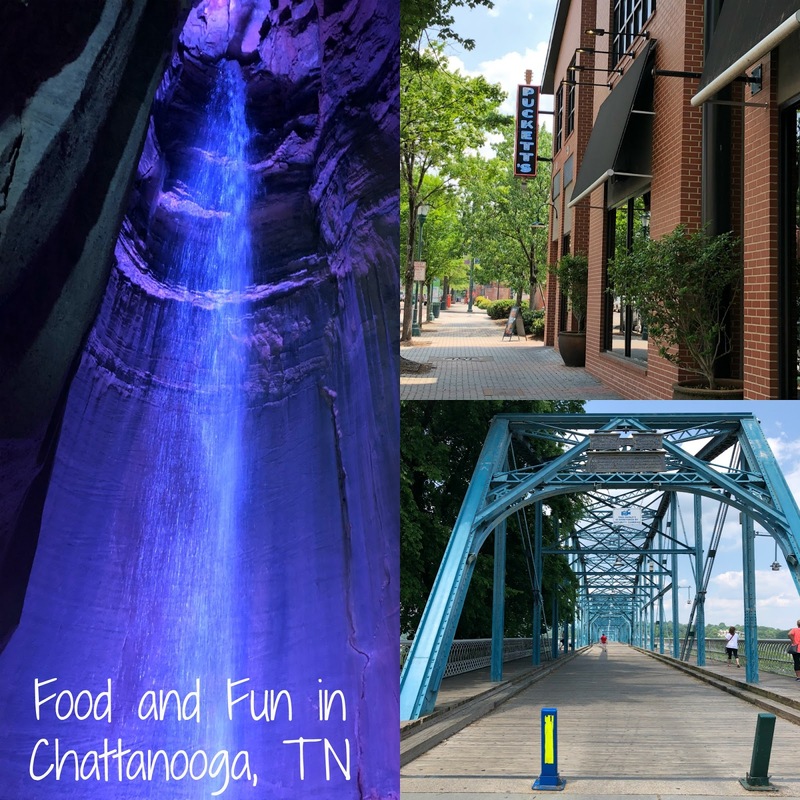 Today I'm sharing the great times we had in Chattanooga! Enjoy! Puckett's has a long and interesting history starting in the 1950's! Their southern comfort soul food is quite delicious and it's located in a super convenient location with easy parking! 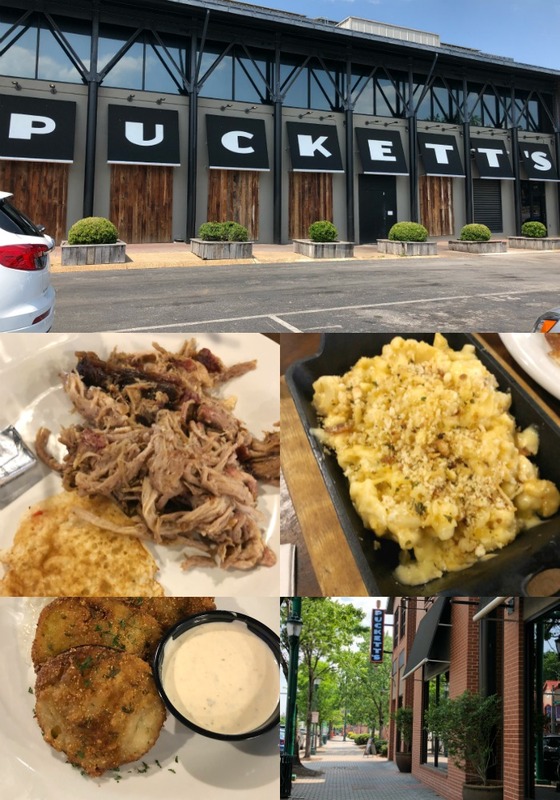 We sampled the pulled pork, skillet mac and cheese and fried green tomatoes! The meal and service was wonderful and I especially loved the fried green tomatoes. Looking for a sweet treat after all that comfort food? 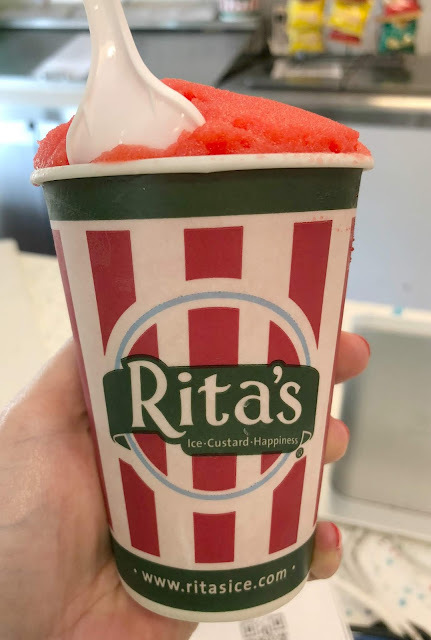 Walk across the street and enjoy an Italian Ice at Rita's! We don't have a Rita's where I live, so this is always a treat. I tried the cherry Italian Ice the day we visited and enjoyed every bite of it! 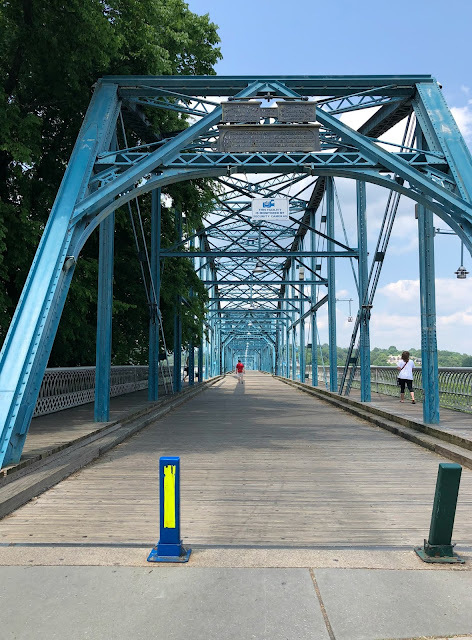 A short walk up the hill from Rita's and Puckett's you'll find the Walnut Street Bridge! This bridge was built in 1890 and gives you some amazing views of the city and Tennessee River. Plus, there's so much more to explore around this area! Ruby Falls was my most favorite part of visiting Chattanooga! It really is an amazing sight to see. 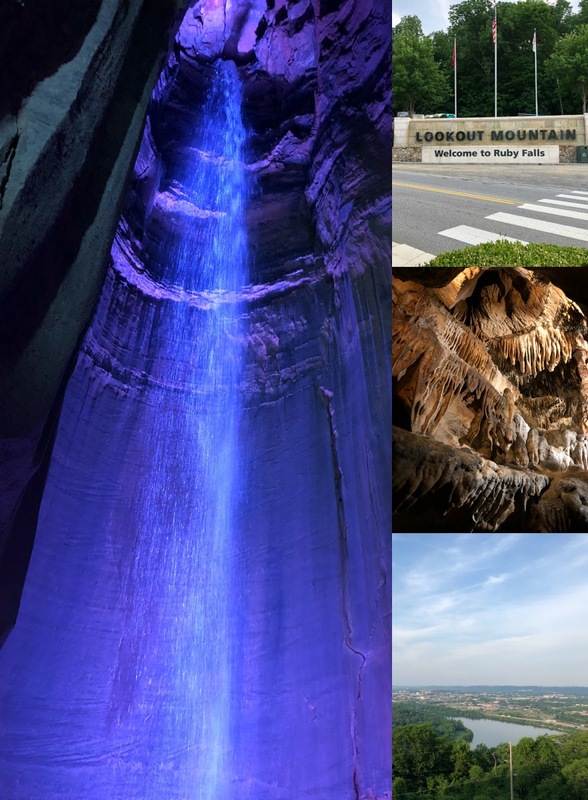 Ruby Falls is a 145-foot-tall underground waterfall inside a limestone cave inside of Lookout Mountain. The hike to the falls is mesmerizing with all the formations to look at and the guided tour is super informative and interesting. Make sure to check out Lookout Mountain and Rock City Gardens too! When you're leaving Chattanooga, take some extra time and check out the Chickamauga & Chattanooga National Military Park and Visitor's Center! 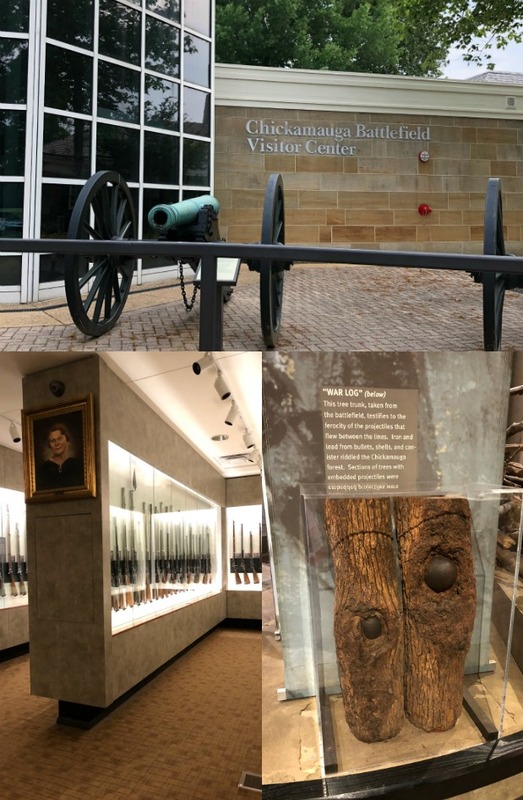 I'm not much of a military history buff, but I learned a lot and was pretty fascinated by all the artifacts! They have a great gift shop for souvenirs too! Check back soon for the next part of my travels! Alabama!